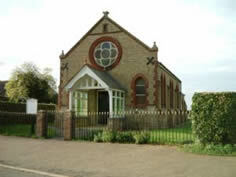 Coveney Methodist Church is the only church in our circuit which sits on a hill! It has from the front of the building a direct line of sight to the cathedral. It has a small congregation but the people are friendly and will always make you welcome.